These pull-on Dr. Martens Leonore Fur Lined Boots have a leather upper with elasticated panels at the sides and are tan in colour. 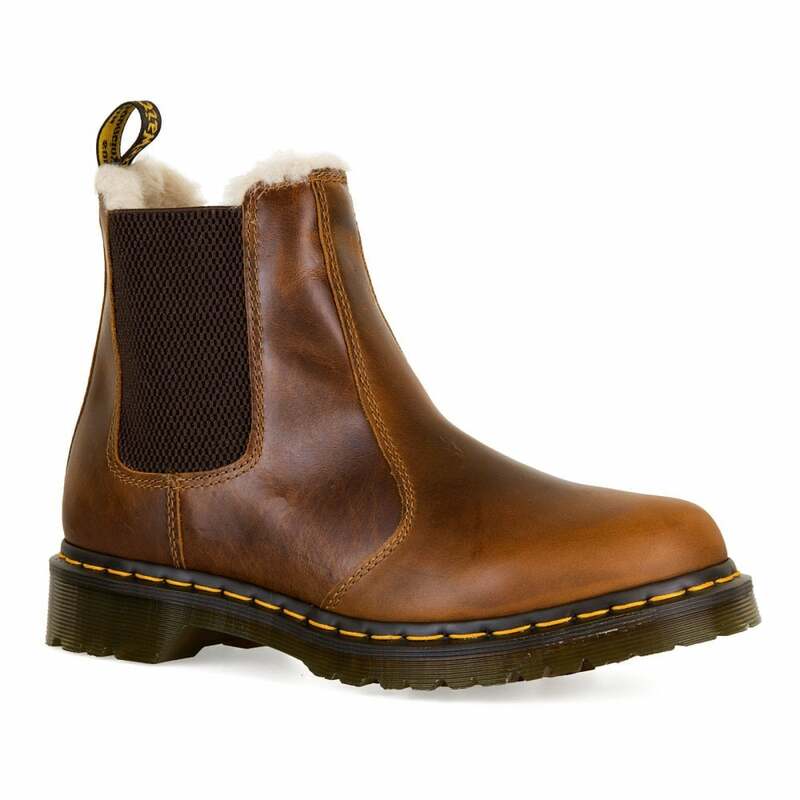 They have a textile faux fur lining and a Dr. Martens branded pull loop at the heel. The rubber soles have built-in Air Wair technolgy and a deep textured tread for excellent grip.